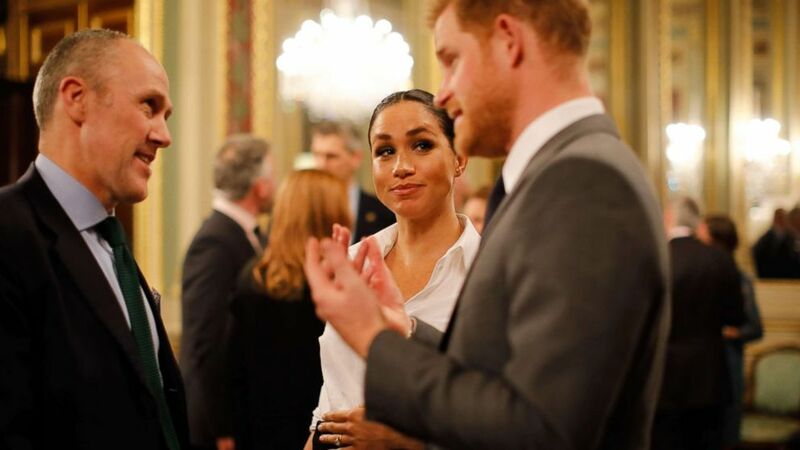 The Duke and Duchess of Sussex recognized the work of service men and women. Prince Harry and Meghan Markle stepped out Thursday night to recognize the achievements of wounded servicemen and women. 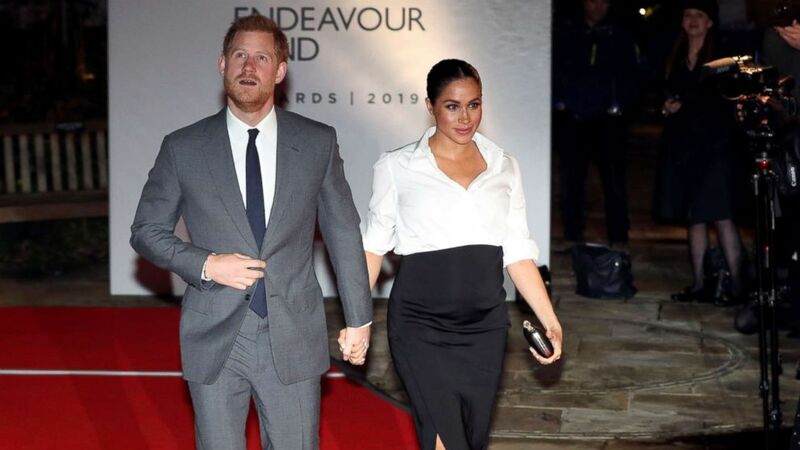 The Duke and Duchess of Sussex, who are expecting their first child this spring, attended the Endeavour Fund Awards in London. The Endeavour Fund was founded in 2012 with the support of Harry, Prince William and Duchess Kate through The Royal Foundation, the royals' charitable arm that Meghan also became patron of when she and Harry wed in May. 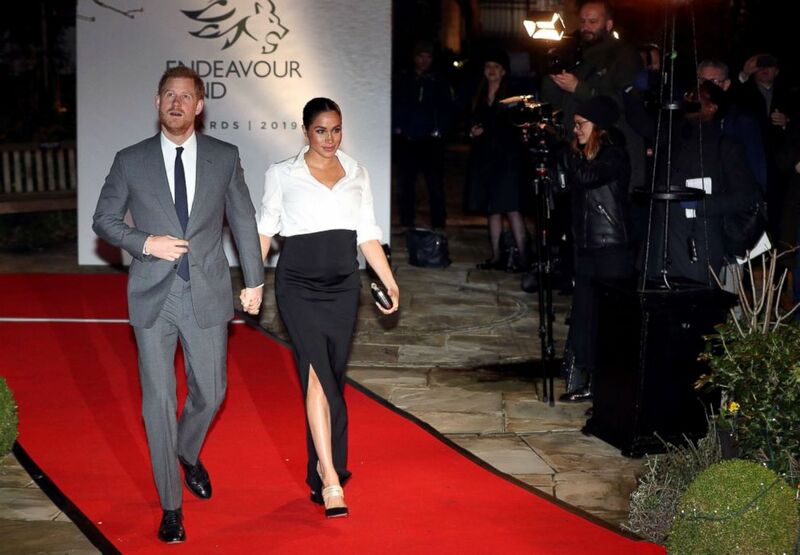 (Simon Dawson/Reuters) Britain's Prince Harry and Meghan, Duchess of Sussex, arrive at the Endeavour Fund Awards in the Drapers' Hall in London, Feb. 7, 2019. The Fund offers funding for sporting and adventure challenges for wounded servicemen and women and helps provide them with support and mentoring. "What you are doing is inspiring so many people," Meghan told attendees in her remarks. The cause is close to Harry's heart. He served in the British Army and also founded the Invictus Games, the Paralympic-style sporting event that raises awareness for wounded service members. Harry, 34, and Meghan, 37, chaired the judging panel that selected the nine winners announced Thursday at the gala at Draper's Hall in London. Meghan wore to the gala a black skirt and white top by Givenchy, her wedding dress designer. (Pool via AFP/Getty Images) Britain's Prince Harry, Duke of Sussex and Meghan, Duchess of Sussex meet guests at a reception as they attend the annual Endeavour Fund Awards at Drapers Hall in London on Feb. 7, 2019. The awards recognize "the significant achievement of nine members of the Armed Forces Community who were injured or fell ill in service, but have gone on to use sport and adventurous challenge as part of their recovery and rehabilitation," according to the Fund. Meghan and Harry's last public appearance together was Feb. 1, when the couple faced snow flurries during their visit to the English city of Bristol. Meghan has also been stepping out solo for her own charitable engagements, visiting all four of the charities of which she is now patron.